Where did you hear about College to Congress? e.g. friend, student, social media, Google search, news article, etc. College to Congress is creating a more inclusive and effective Congress by empowering the next generation of public servants. We accomplish this by creating pathways for talented and passionate students to intern in Congress who otherwise could not afford to do so. We help them secure full-time internships with their own Members of Congress and cover ALL of the costs associated with interning in DC (meals, flights to/from DC, housing, professional clothing, and more). To ensure that our students have the knowledge and skills to excel during their internships and beyond, we provide weekly personal and professional development workshops curated by top DC professionals. We also pair each of our students with a “Bipartisan Ally" -- a senior-level congressional staff member of the opposite party -- in order to breakdown paralyzing hyper-partisanship and build relationships across the aisle. After graduation, we help our students secure full-time jobs on Capitol Hill. Through them, we seek to build a democracy that truly reflects the people that it serves. 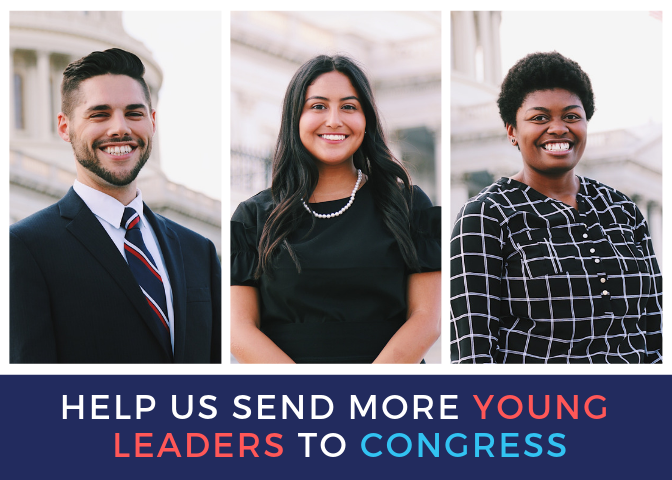 In doing so, we help talented students kickstart their careers in public service and make Congress more diverse, inclusive, and effective for all! Visit our website at www.collegetocongress.org for more information on our program, our impact, alumni stories, and more. College to Congress is a 501(c)(3) nonprofit organization, EIN 82-3555525. All donations are deemed tax-deductible. No goods or services were provided in exchange for your contribution. To learn more about our work at College to Congress, please visit our website at www.collegetocongress.org.